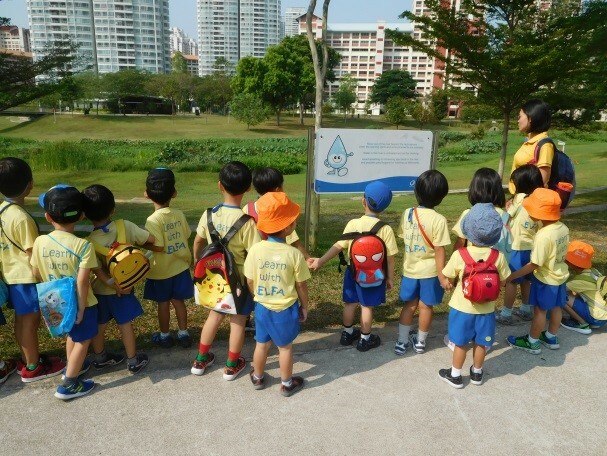 Super-hot weather notwithstanding, some 45 Nursery and Kindergarten children from ELFA Preschool @ Serangoon visited Bishan-Ang Mo Kio park on 21 March 2019 for the ABC water trail to learn about the preciousness of our water resources. 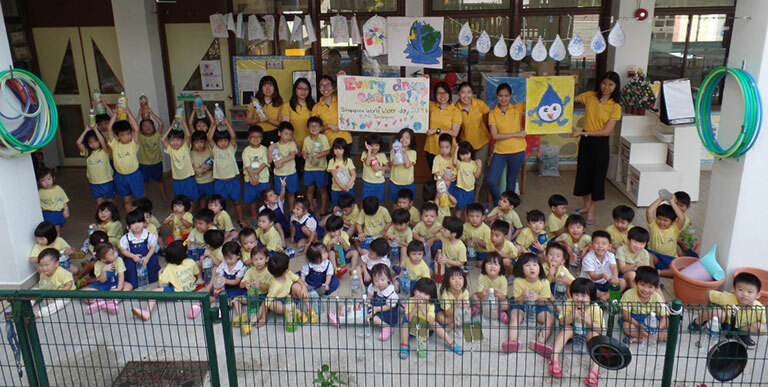 It was organised as part of the preschool’s week-long commemoration of Singapore World Water Day, which fell on 22 March 2019. 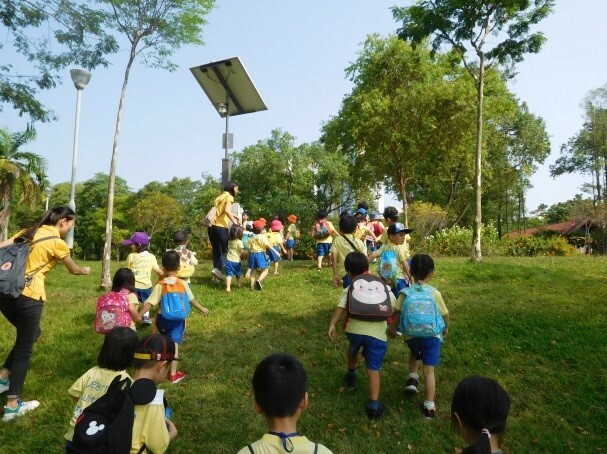 During their visit to the park, the children were able to observe how a massive holistic effort has been made to integrate the drains, canals and reservoirs through rivers with the surrounding environment to ensure we have clean water supply. After the walk, the teachers impressed on the children that it was very important for them to be absolutely responsible for keeping our waterways and reservoirs Active, Beautiful and Clean. 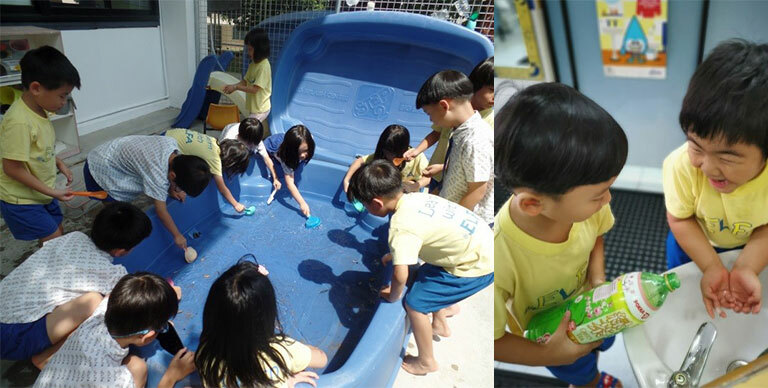 During the week, other educational activities were carried out to remind them of the importance of water and environmental conservation. Children created different artworks that were put on display as part of their message to those walked through the corridors of the centre.